Listen to and record free Internet Radio. Quickly build your own music library with thousands of MP3s for free. Select from more than two thousand free, hand selected, high quality internet radio stations. 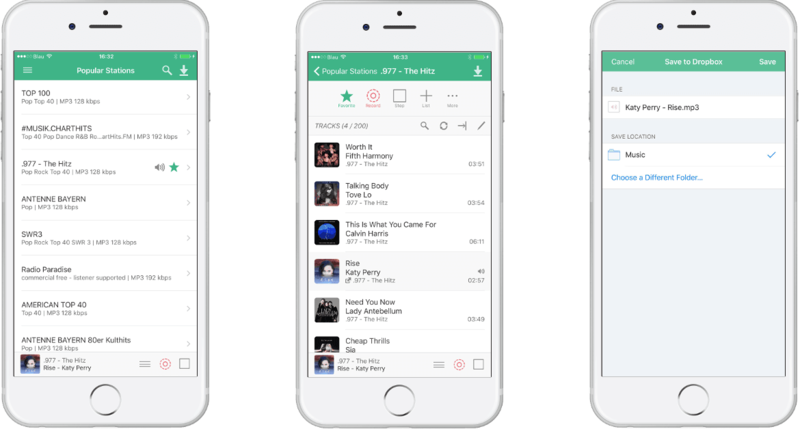 Browse popular and recommended stations, filter by genre or bitrate, search by name and set favorites. If you are missing a radio station you can add it yourself or let me know and I will add it quickly. Record multiple radio stations at the same time. Record continuously or record and automatically split radio streams into separate tracks. You can also timeshift internet radio: pause and resume playback at any time without gaps. 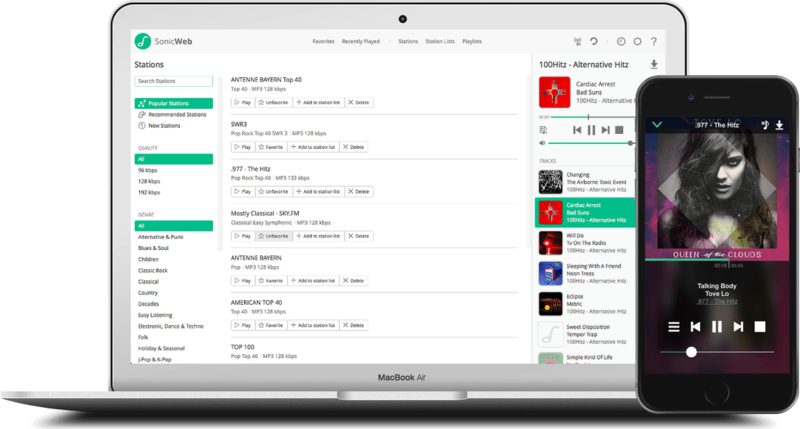 Create custom playlists from the tracks you like. Keep them as long as you want and play them as many times as you like. Build your own music library. Listen to your recordings on your Mac or Windows PC using iTunes or any other third party music player. 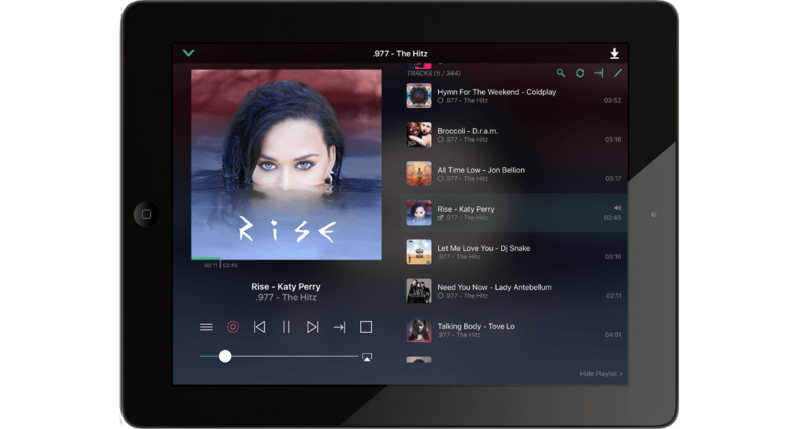 Copy the tracks you like to your iPhone, iPad or any other phone or mobile device for mobile listening. 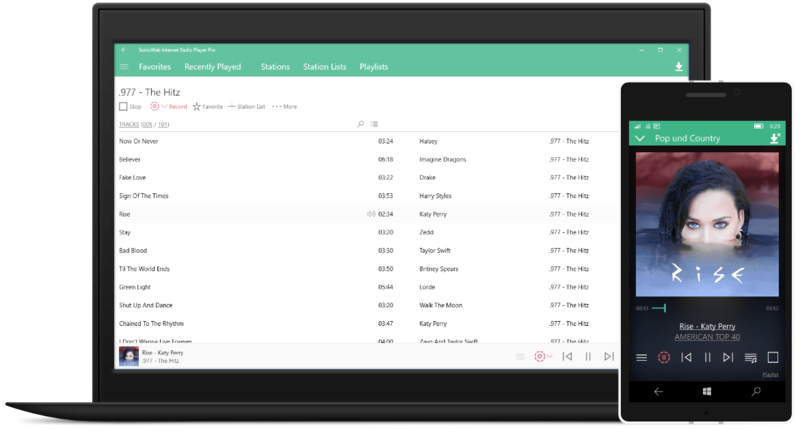 Turn on and record up to 10 stations simultaneously and let SonicWeb create your own personal radio station with endless playlists automatically created from the recorded tracks. Listen to internet radio without worrying about your mobile data plan. SonicWeb monitors if a WiFi internet connection is available and automatically pauses and resumes streaming and recording. If your WiFi connection becomes disconnected you can simply continue to listen offline to your prerecorded tracks. The overview page contains more info including a demo video or read the manual pages that describe every feature of SonicWeb for Mac in detail. The overview page contains more info including a demo video or read the manual pages that describe every feature of SonicWeb for iOS in detail. The overview page contains more detailed information about SonicWeb for Windows 10. Highly recommended for music lovers who like to make new discoveries and enjoy them again and again in Hifi quality. As an appreciators of music, this app gives me freedom to control my Internet-Radio listening experience in an unprecedented manner. It is a hybrid of Snowtape and SiriusXM on steroids! Great app. Makes radio listening a pleasure. And if you email the developer, he'll add whatever radio stations you want. I'll never go back to Pandora. Worth To Buy! Best radio app in the Windows Store. Works great! Worth the $$$ if you like Internet Radio. This radio app is genious. Simple to use. Many radio stations to choose from. And it's possible to add your own radio stations. You have questions or just want to tell me what you think about SonicWeb? Send praise and critique, tell me which functions you are missing or if something is not working as expected.